The Los Angeles River Revitalization Master Plan is only one revitalization project of many taking place in the United States. Most are unknown because our media does not cover these types of stories. Our media (News) will only cover shocking and devastating events like murder, shooting, disasters, etc. I wish they would cover positive events instead. The city of Valley, Alabama with a population of only 9,000 has quite a history. Back in the 1860’s Valley was the home of 2 textile mills along the Chattahoochee River. The city was dependant on the textile industry in order to sustain its existence. Just like Detroit and the auto industry. The auto industry closed plants in Detroit and now it’s becoming a ghost town. Anyway when the textile industry changed gears (out sourcing or is it globalization?) Valley was hit very hard. The 2 mills had to close their doors. The city was devastated. The mills sat vacant for many years. The city later purchased the 2 mills in 2004 for $450,000. The Langdale Mill cost $300,000 and the Riverdale Mill $150,000. 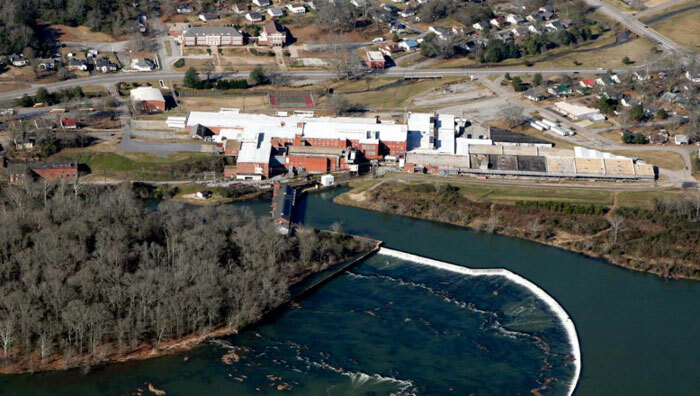 The 2 mills include 38 acres of river front property along the Chattahoochee. 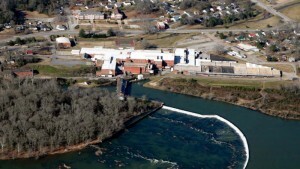 In 2007 the Alabama DEM did an assessment of the property which caused the EPA to award the city a grant to help with the environmental clean up. There was some contamination found on the site by ADEM. The city of Valley worked with the EPA to learn how to use the land sustainably and discover redevelopment opportunities. Valley transformed a small portion of the land into office space and a sewing center. They partnered with InterfaceFLOR who is a carpet tile manufacturer. The sewing center manufactures purses and tote bags from discarded materials from InterfaceFLOR. InterfaceFLOR then purchases the items back for marketing and sales meetings. InterfaceFLOR has a zero waste policy. All profits are reinvested to create more jobs. Valley has also created a Farmers Market in the Langdale parking lot. This provides opportunities for local farmers to increase sales. The community benefits from the fresh produce and competitive pricing. Locals want to reinvest in their own community too. This is what can be done by people who care and who are patriotic towards our great country. Let’s turn the U.S. around….and bring back manufacturing and other jobs. This entry was posted in Revitalization Projects by admin. Bookmark the permalink.